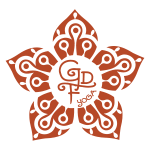 Our yoga studio and meditation center in the heart of Vista, California is YOUR entryway to more Energy, Success, Happiness, Abundance and a Deep Sense of PEACE! 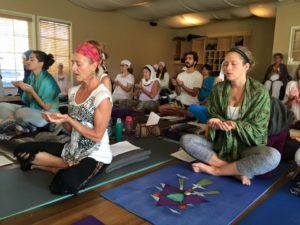 Kundalini Yoga is an ancient, proven practice that is practically new to mainstream America, but is catching on like wild fire! Why? This is the Technology of Happiness. It is the direct response to our fast-paced world and IS the antidote we need for our depression, confusion, stress, anxiety, and lack of energy and focus. Kundalini Yoga is all about ENERGY! Moving Energy. Connecting Energy. Igniting Your Happiness Energy. That’s why it works 16 times faster than other forms of yoga to bring you peace, success, healing and happiness! This is the Householders’ yoga. It was created for you and me, your family, and your neighbor. Every one! AnyBODY can do it! It is an absolutely unique experience. Can it be mentally and physically challenging? Absolutely! But it can be easily modified for anyBODY to do it…including kids, seniors, or even people in a chair. In addition to Kundalini Yoga, our studio also offers sound healings with crystal bowls and gong baths, various forms of meditation, pranic healing and Reiki, numerology readings and more. Check out our schedule below to see which classes are calling to you. We look forward to seeing you in class! Please stop by or contact us with any questions. Sat nam. I can not give enough accolades to Mahanraj Singh and Mahanraj Kaur. I attend many Kundalini classes, including those taught by others. With out question, these two stand out as exceptional teachers They put in the time and effort necessary to create a superior class providing support for me and all of the other students in helping to create a better quality life. 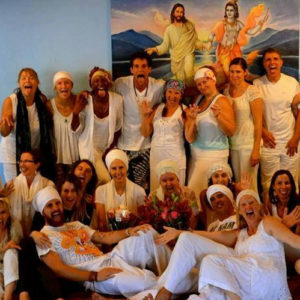 Their knowledge of Kundalini and willingness to live what they teach provides a total experience that is amazing. The icing on the cake is all the work they put into providing the most incredible music pushing the experience over the top! I have had the pleasure of participating in Kundalini Yoga classes, workshops and teacher training with Mahanraj Kaur, “Marcia” over the past couple of years. Her relaxed, all are welcome style truly created a safe place for me to learn about this technology. Her deep understanding of Kundalini Yoga and ability to articulate what is happening in the universe through thoughtful stories has been deeply healing for me. I am filled with joy and gratitude when I think of the journeys I have taken through Marcia’s teaching. This workshop was obviously a labor of love. Saying “thank you” for this gift is inadequate. Smiles, laughter, tears, strength, breathing, dancing…. Every class is truly unique in it’s own divine sweet way! 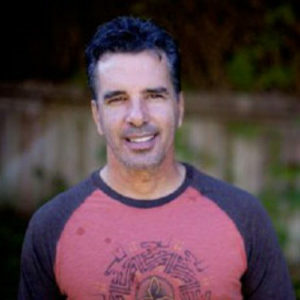 Marcia Frescura your teachings and beautiful goddess spirit of yours is a blessing!! Thank you for all the personal healing, spiritual growth and family like yoga community that is shared at the soul of yoga!!! I have been mentally and spiritually transformed thanks to Kundalini Yoga and my AMAZING teachers Marcia “Mahanraj Kaur” & Tony “Mahanraj Singh” Frescura!!! Struggling with depression since childhood, I was hit hard yet again after my dad’s passing last year. Knowing that doctors and prescriptions proved little help to me in the past, I sought out an alternative “prescription”. 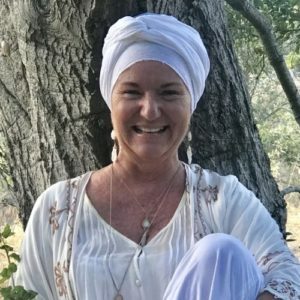 I read Kundalini Yoga could help, so I searched online and found videos by a spunky, turban wearing gal named Marcia and I just had to give her class a whirl. 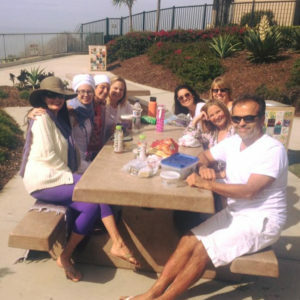 I was hooked from the first day…and a week later I was taking The Manharaj’s 3-Day Intensive workshop. Over the past year I have attended Tony and Marcia’s classes regularly, as well as many of their outstanding workshops & 3-day retreats. 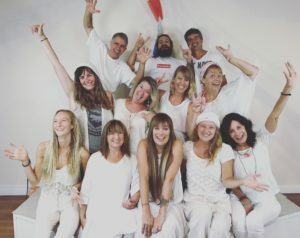 Their enthusiasm and devotion to Kundalini Yoga as taught by Yogi Bhajan is contagious, and their love and compassion for their students & the world is inspiring. My journey with Kundalini has been spiritual, fun, weird, emotionally difficult, but ultimately life changing! My black cloud has lifted, my mind has calmed, I have a new confidence and dare I say…I am happy. Thank you Tony and Marcia for the teachings, guidance and support you’ve giving me this past year, for the friends I have made and for the wonderful Kundalini community you have created. If you are Kundalini Yoga curious, looking to improve your life or just want to have some fun, I can’t recommend Tony & Marcia highly enough!